The 35-year-old comes from a long line of farmers and hunters from the remote forests of south-eastern Liberia. But instead of cutting back relentless jungle in search of farmland or bushmeat, Panyonnoh moves between rows of stout trees on what is set to become the largest palm plantation in Liberia. Panyonnoh is one of more than 3,700 Liberians working for Golden Veroleum Liberia (GVL), a company whose main investor is one of the most powerful palm oil outfits in the world, Singapore-based Golden Agri-Resources. Panyonnoh is a high school graduate who became a teacher in a government school. But with poor and irregular pay, and a wife and three young children to support, he needed a more stable income. He took a job with GVL two years ago and now earns more and can better provide for his family, he says. Panyonnoh’s homeland is a new frontier for the ubiquitous red oil, an ingredient central to a plethora of consumer goods, including cosmetics, soap and the cooking oil itself. 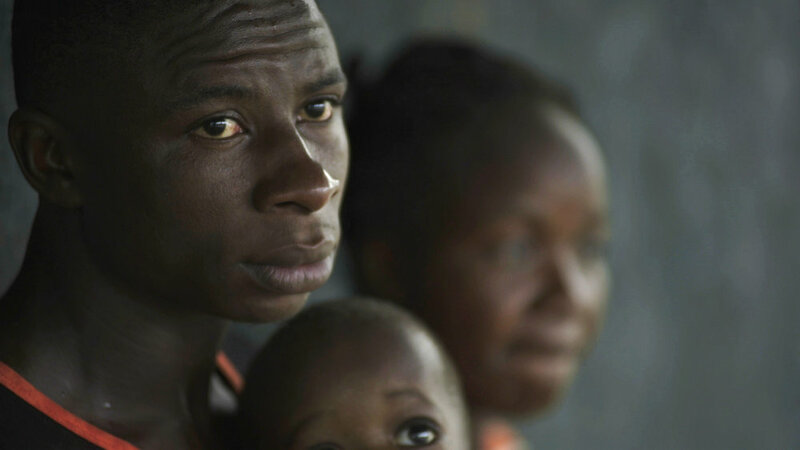 Liberia is one of the poorest countries in the world. Almost one third of the population is under the age of 10 (pdf), and more than half cannot meet their basic needs. Food poverty is a major problem, particularly in rural areas, where insecure employment is staggeringly high. On taking office in 2006, Liberia’s president, Harvard-educated technocrat Ellen Johnson Sirleaf, set about reversing the country’s image following its 14-year civil war. From lawless pariah state to a respectable and stable land, Liberia was open for business and investors clamoured for deals. The government needed quick revenue, which could be generated through agricultural concessions, and jobs for unemployed youth, who could become a major security threat. Post-war Liberia was also a fertile ground for policy experiments by multilaterals, law and business professors, and consultants hired by the likes of businessman George Soros and Tony Blair – whose Africa Governance Initiative works to build capacity in government ministries – names that brought status and donor dollars. “We had some of the best advice in the world,” says Richard Tolbert, former head of the National Investment Commission, the country’s investment promotion agency. They were drafting policies, he says, and played a role in negotiating concessions. Palm oil was a key part of the country’s poverty reduction strategy. Done well, says Tolbert, the sector could create jobs for up to 100,000 people in Liberia. For economists such as Sam Jackson, however, a former Sirleaf ally-turned-critic, the government is merely reproducing the kind of plantation economy that, since the founding of Liberia in the mid-nineteenth century, has enriched elites and led to three decades of conflict. GVL, a beneficiary of this push for investment, has faced community opposition. Open doors, fertile soils, high levels of rainfall and large tracts of uncultivated land made Liberia an obvious choice for palm oil companies, says GVL’s CEO David Rothschild. The company’s long-term investment in Liberia, which it says will reach $1.6bn, was signed in 2010 towards the end of Sirleaf’s first term as president – although GVL declined to comment on how much has been invested in country to date. Its 220,000 hectare concession area spans two counties, including the district of Tarjuowon in Sinoe County (where Panyonnoh works). The company’s lease agreement grants it access to the concession land for 65 years, with the possibility of extending to 98 years. But the government’s promise of “unencumbered land” hasn’t translated into reality on the ground. “There was a rude awakening when [GVL] got out there and these communities were fighting back,” says Othello Brandy, head of the Interim Land Taskforce, a government body focused on land rights and administration. For campaigners, however, the value of the development remains dubious. 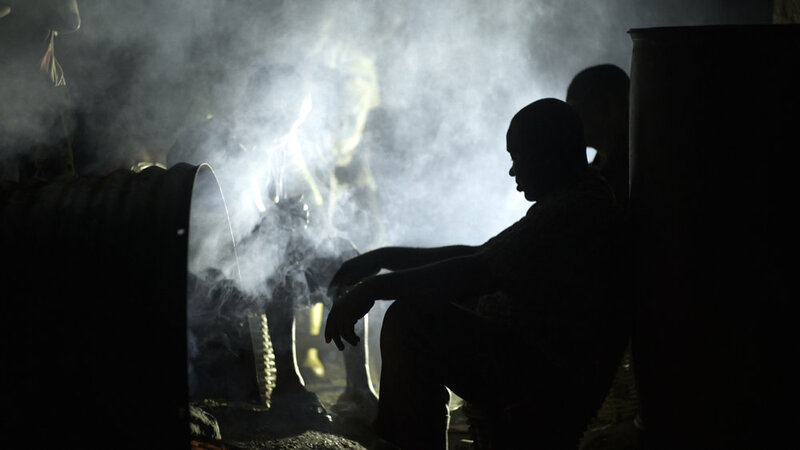 A new report, commissioned by Global Witness, claims communities benefited more economically before GVL came, from subsistence farming, hunting and selling charcoal. GVL says the report is “factually deeply flawed”, that it overstates both incomes from subsistence farming and the percentage of community land under development, and underestimates the benefit palm oil development has brought in terms of local infrastructure. On top of a hill, a short distance away from where Panyonnoh is working, fellow employees throw palm fruit from the company’s first harvest into vats for boiling and refinement. The small, temporary mill where they’re working is framed by the wide skeleton of a much larger mill in the distance, which GVL says will generate jobs and increase the productivity of the plantation. The mill will be finished in late 2017, with other mills expected as the plantation expands. However, the Blogbo-Teh, a community group in the nearby town of Jacksonville, has called for a halt in construction, saying it did not consent to the company using the land, which they say is sacred. GVL says politics is at play and that the Blogbo-Teh represents a minority. It says the alarm was only raised well over a year after the agreement with the Tarjuowon district was signed. Sworh fears the little independence rural people have will be taken away. Negotiations between GVL and Blogbo-Teh were being mediated by Parley, an NGO focused on land rights disputes, but came to a standstill last year. The company says it is unclear what the community wants or how to move forward. Operations on GVL’s plantation have moved slowly over the past six years, with clearing and planting in only 15% of the designated concession area. This has been in part due to the time it takes for the communities and company to reach agreement. These agreements, often signed with blue inked thumbprints, promise to provide communities benefits such as drinking water, schools and access to clinics, but they aren’t legally binding and have vague timelines for delivery. A land rights bill presented to the legislature almost two years ago, which for the first time would legally recognise customary land rights, could hold the key to disputes around concession areas and empower local communities, says Brandy. But land rights activists are skeptical that the bill will be passed before the presidential and legislative elections in 2017. Rothschild says GVL is in favour of the bill, adding that the company has acknowledged community rights through negotiating directly with the community rather than government. For GVL, the gains for the community from palm oil are tangible, if gradual. “The history of the industry is such that the first generation goes in as unemployed workers, the children go into the schools, get educated through the school system that we provide, and the next generation become the managers of these farms,” says Rothschild. This piece was amended on 21 October 2016 to clarify that Richard Tolbert is the former head of the National Investment Commission.